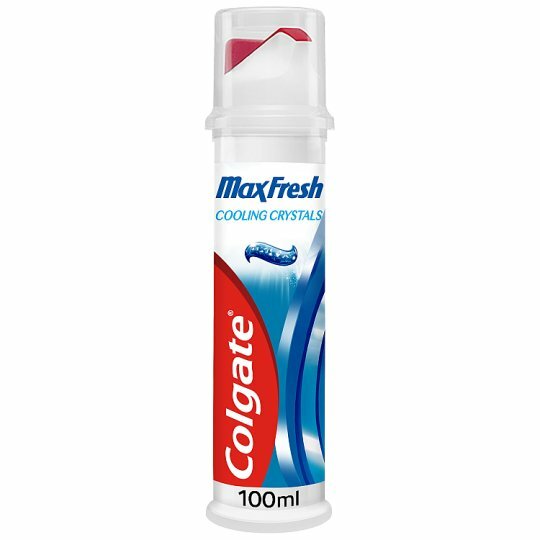 Experience a new dimension of freshness with Colgate® Max Fresh Cooling Crystals Toothpaste. It fights cavities and helps whiten teeth while refreshing and cleaning your whole mouth. Not for use of children under 6 years old. In the unlikely event of the pump not functioning, hold actuator down whilst pushing up centre of base firmly.